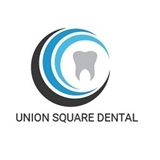 Union Square Dental (New York) - Book Appointment Online! wonderful ppl, wonderful office, clean, and a breeze to get in and out of my appt! Cleaning was very thorough, check up was very quick but to be expected as I don't have any dental issues. Will be going back next year. Amazing team from the receptionist to the dents assistant fo the dentist!! She is just so friendly and explains everything and is so nice!! I will go there again and will tell my friends and family about her! !